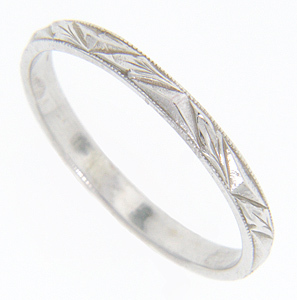 A leaf design fills in the spaces between the slightly raised triangular shapes that span the circumference of this 14K white gold antique style wedding band. The wedding ring measures 2mm in width. Size: 9. Cannot be re-sized but we can re-order.